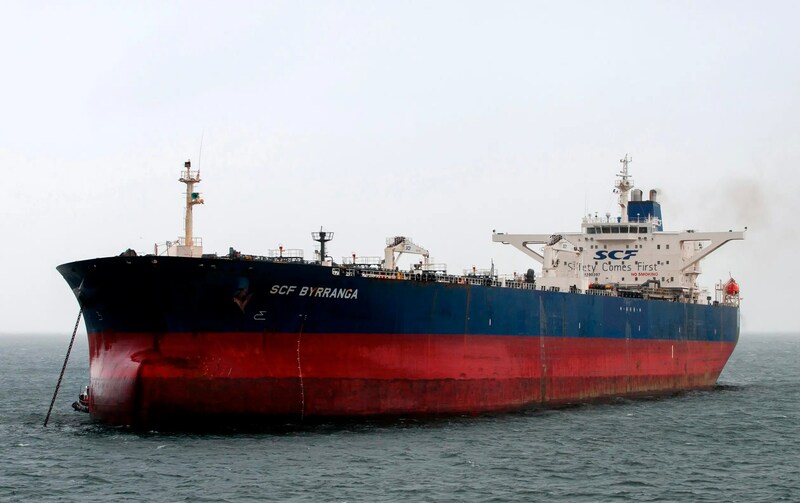 LONDON/ARBIL (Reuters) – In January 2011, Exxon hired one of the best connected men in Iraq: Ali Khedery, an American of Iraqi descent who had served in Baghdad as a special assistant to five U.S. ambassadors and a senior adviser to three U.S. generals. At a meeting with Exxon a few months later to analyze Iraq’s future, Khedery laid out his thoughts. The gloomy scenario grabbed the attention of Exxon executives. Just two years earlier, they had signed a $25 billion deal with Iraq to develop West Qurna, one of the largest oil fields in the country. “No one wanted to hear that they had negotiated a multi-billion dollar deal in a country which will soon implode,” said Khedery, who has detailed to Reuters the meeting and subsequent events for the first time. He suggested an alternative: Kurdistan, a semi-autonomous region in northern Iraq that was politically stable, far from the chaos in the south, and had, by some estimates, oil reserves of 45 billion barrels. Less than a year later, Exxon signed a deal with Kurdistan. The story of how that happened explains much about the would-be nation’s growing power. Interviews with key players in the secret 2011 negotiations – the talks involved not just Exxon but also fellow Western oil giant Royal Dutch Shell – show how Exxon’s decision to invest infuriated both Washington and Baghdad, and helped propel Kurdistan closer to its long-held goal of independence. 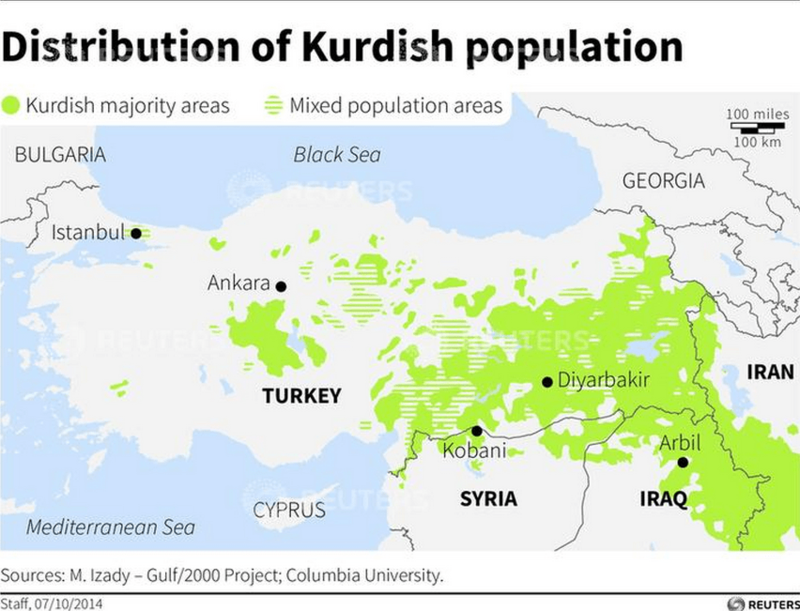 Kurds like to say they are the world’s largest ethnic group without a state. Numbering some 35 million, they inhabit a band that stretches from Syria across southern Turkey and northern Iraq and into Iran. Most follow Sunni Islam and speak their own distinct languages. The Exxon deal fueled Kurdish self-belief. The presence of the biggest U.S. oil company has helped not just financially but also politically and even psychologically. Despite the deal, Kurdistan’s path to nationhood is far from certain. Independence is opposed by Washington, Baghdad, neighboring Turkey and Iran. It also remains unclear whether the Kurds have the strength to stand alone in this volatile region. As militant group Islamic State (IS) advanced through Iraq this summer, Baghdad’s troops melted away, leaving the Kurdish fighters known as peshmerga to halt the extremists. When IS threatened to take Arbil, Iraqi Kurdistan’s capital, the United States bailed out the Kurds with a bombing campaign. On Tuesday, a temporary agreement between Baghdad and Arbil to end their dispute over oil exports and budget payments looked, at first glance, like Kurdistan returning to the Iraqi capital’s control. But the deal does nothing to resolve the issues between Arbil and Baghdad, while forcing the Iraqi capital to effectively acknowledge Arbil’s development of its energy resources with Exxon, other foreign companies and Turkey. Arbil has compromised, but it has also locked in the progress of the past three years. Oil companies have been interested in Kurdistan for years. But after the United States toppled Iraqi strongman Saddam Hussein in 2003, a series of governments in Baghdad made clear that to get a slice of the biggest prize – the huge reserves in Iraq’s south – firms should not cut separate deals with the Kurds. The fear: Letting the Kurds control the oil would rob central government of billions of dollars in revenue and bring a breakup of the country closer. Western firms’ reluctance began to melt after Kurdistan passed more business-friendly oil legislation in 2007. Mid-sized firms began to invest, though the biggest players remained on the sidelines. Baghdad finally divvied up the oil concessions in Iraq’s south in 2009 and 2010, and oil majors rushed to sign. But terms were tough and many firms, including Exxon, were soon frustrated. Quietly, in late 2010, Exxon began putting out feelers to the Kurdish regional government. Proper talks began in early 2011, according to Hussein, the Kurdish president’s chief of staff. Khedery had resigned from the U.S. administration the previous year to protest against U.S. policies in Iraq, which he thought were hurting Washington’s interests in the region. In the oil world, filled with Texas oilmen and former U.S. military types, Khedery stood out. Young, rail thin and with the bearing of an academic, he appeared confident and well connected. He had been privy to many of the backroom political deals in Iraq since 2003, and had a direct channel to the president of Kurdistan. “He knew almost every official from the American side in Baghdad and he used to know every Iraqi leader,” said Hussein, who had befriended Khedery when they worked together as advisers to the U.S. occupation authorities in Baghdad. Exxon began to rethink its approach to Kurdistan when a small group of company officials met long-time CEO Rex Tillerson and his deputies a few times in the spring of 2011. The first meeting took place at Exxon’s headquarters near Dallas. The small Exxon team briefed Tillerson in his huge conference room. The oil boss listened quietly to the presentations, most of which focused on technology and geology, with a brief talk on Iraqi politics. Afterwards, most of Tillerson’s questions were about politics. That’s when Khedery spoke up. REUTERS/Tom DuncanThe oil tanker SCF Byrranga, which was renamed the United Kalavryta in March 2014 (also known as United Kalavrvta) and is currently off the coast of Texas with a cargo of Kurdish crude oil, is seen off the Isle of Arran, Scotland in this handout photo taken February 21, 2014. Serious talks with the Kurds began soon after, with a call from Khedery to Hussein, according to the presidential chief of staff. The two sides met secretly in London, Dubai and Arbil. On the Kurdish side, the main negotiator was Oil and Gas Minister Ashti Hawrami. But Kurdistan President Massoud Barzani also tapped Hussein to attend discussions. Unusually, the president even joined some meetings himself. Exxon was represented by senior executives from Texas. But it was not just Exxon and the Kurds talking. Europe’s biggest oil major, Shell, was also involved, according to Hussein. Shell was Exxon’s junior partner in the West Qurna field and had a separate deal with Baghdad to invest tens of billions of dollars in southern Iraq’s Majnoon field. Exxon and Shell believed that teaming up – they had a combined market capitalization of more than $600 billion – would make it hard for Baghdad to throw them out of the south even if they cut a deal with Kurdistan. The first meeting was in Arbil, which is dominated by a central citadel that is one of the oldest continuously inhabited settlements in the world. The Exxon team, concerned about Kurdistan’s relationship with Baghdad, and longterm stability, quizzed Barzani on his views of Iraq. Barzani and Maliki both declined to comment. In the summer of 2011, as negotiations continued, Kurdistan sold two oil blocks to Hess, a U.S. company. Exxon and Shell had been keen to get the blocks, and the surprise sale nearly ended the talks, according to Hussein. To show Arbil was still serious, Barzani promised more attractive terms, according to both Khedery and Hussein. A signing ceremony in Arbil was planned for mid-October, but another complication arose. Shell was in the final stages of talks with Baghdad to obtain exclusive rights to process all natural gas produced in Iraq’s south, a deal worth $17 billion. If Shell signed with Arbil, Baghdad might scuttle the gas deal. At a meeting with Barzani in the Imperial hotel in Vienna, where the Kurdish president was on holiday, Exxon executives said they were committed to signing. Shell’s executives, though, seemed less sure. What Barzani and Exxon did not know was that Shell’s CEO Peter Voser was in Baghdad, meeting Maliki to clinch the gas deal in southern Iraq. Just three days before the Kurdish deal was to be signed, Shell told Exxon it was no longer interested. A Shell spokesman declined to answer questions about the Kurdistan deal. “Today our focus is on delivering the Basrah Gas Company project and the Majnoon Oil Field development, both of which are projects of critical importance to the reconstruction and economic development of (Iraq),” the spokesman said. ReutersMap of the Middle East showing distribution of the Kurdish population in the region. Exxon pushed ahead. The firm believed that rivals such as Chevron and Total would follow suit. The Texans kept things low key, though. An Exxon delegation flew to Arbil to sign the deal. Tillerson stayed in Dallas. The six blocks Exxon won were scattered around the autonomous region. One block was near Turkey and another near the border with Iran. The three most controversial were along the line that divides Kurdistan and the rest of Iraq, straddling areas whose control is disputed between Arbil and Baghdad. The Kurds included the blocks in the deal and later managed to bring the governor of Nineveh, one of the provinces affected, on board. To some, it looked as if Arbil was using Exxon to consolidate its borders. Hussein said Arbil already controlled the disputed territories and did not need Big Oil’s legitimacy. Barzani, though, has since described the presence of companies such as Exxon as a form of insurance for Kurdistan. When news of the deal leaked in early November 2011, both Baghdad and Washington were furious. Maliki wrote a letter to President Barack Obama demanding he push Exxon to scrap the deal. Iraq’s deputy prime minister for energy affairs summoned Exxon executives to explain. To Washington, the deal was an embarrassment. The U.S. strategy was built on support for Maliki and its ‘one Iraq’ policy of a unified nation under a strong central government. Now one of America’s most powerful corporations had undermined that approach. Hawrami declined to comment. Jeffrey has since left the State Department. He is reported to be a consultant to Exxon, but declined to comment for this story. Within a few months, both Chevron and Total signed deals, further strengthening Kurdistan. A pact with Russia’s Gazprom followed. In January 2013, Exxon CEO Tillerson made his first and so far only visit to Iraq, traveling to Baghdad to mend fences with the central government. It isn’t clear what happened in that meeting, but Baghdad has not canceled its own contract with the Texas firm. 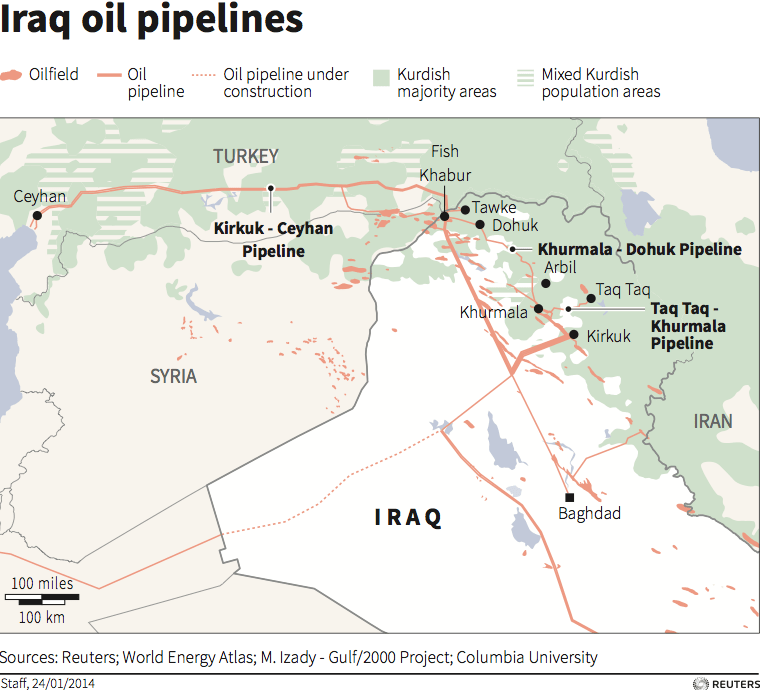 Arbil has even built a pipeline to Turkey, which makes it easier to export its oil. The Iraqi capital remains riven by strife, but things are looking up for Exxon. The firm’s main Iraqi critics – Maliki and two other senior politicians – were pushed from power this year in elections. The men who replaced them are more amenable to a compromise, as this week’s agreement with Arbil shows.